Did you know the founder of Girl Scouts of America was deaf? Or how about the first woman to swim across the English Channel? Many brave and dedicated deaf women have made invaluable contributions to modern society, despite the odds against them. This powerful minority group has fought against a culture that seeks to silence them– constantly challenging people’s assumptions of who deaf women are, and what they are supposed to be. History is full of deaf women who changed the world forever, yet the names of these women and their accomplishments often get buried, or left out of text books. This is why in 2014 Deaf Women United (DWU) declared March as Deaf Women History Month, to celebrate on the incredible deaf women who make this world a better place. Founded in 1985, DWU “provides leadership to and empowers Deaf women all over the country by the creation of a support system that will enhance their lives.” It is an organization made of, for, and by Deaf women to help strengthen and uplift this long oppressed group. Throughout the month of March, DWU highlights 31 women who are making a difference in the Deaf community and the world. 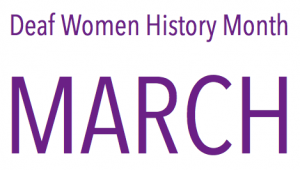 As the second Deaf Women History Month comes to a close, let’s take a look back at some of the many inspirational deaf women who broke the mold. While she was certainly not the first influential deaf woman in history, Teresa de Cartagena is one of the first whose accomplishments were recorded. 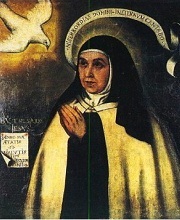 Born in 1425, Cartagena was a nun who became deaf in her thirties and then wrote about the experience in “Arboleda de los enfermos.” Critics did not believe a woman was capable of such logical and literate composition, so Cartagena penned her second essay “Admiraçion operum Dey” to prove them wrong. In this piece she made the controversial argument that God created men and women with equal abilities. These works provide a rare insight to the mind of a female during the Middle Ages and are often considered the first feminist writings by a Spanish woman. Cartagena credited deafness with providing a world of silence for her meditation and spiritual growth. Driven by compassion and a strong sense of purpose, deaf women have long been fighters for social justice. Charlotte Elizabeth Tonna (1790-1846) was a popular deaf writer whose work “The Wrongs of Woman” exposed the deplorable living and working conditions of female laborers in London. 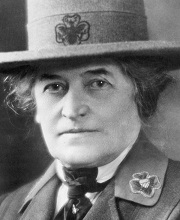 Juliette Gordon Low, who became deaf as a young adult, devoted her time to charity work and founded The Girl Scouts of America in 1913. Since it’s creation, The Girl Scouts program has helped millions of young Americans from all walks of life to become more confident and capable individuals. 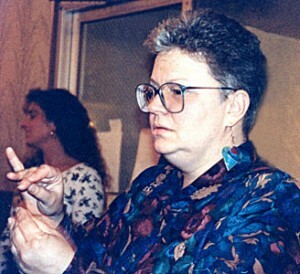 In 1986, Marilyn J. Smith founded Abused Deaf Women’s Advocacy Services to address the unique needs of deaf and deaf-blind victims of abuse. Smith’s organization has centers across the country which are run by and for deaf people to provide training and education regarding issues of sexual assault and domestic violence. Deaf women have also made significant contributions to the sciences. Annie Jump Cannon, born in 1863, became progressively deaf throughout her childhood, but not before she learned about the constellations from her mother. Cannon’s lifelong passion for astronomy led her to pursue a degree in physics, studying stars and novae in the College Observatory at Wellesley. She became the leading expert in stellar classification, a world traveler, and an advocate for women’s suffrage. 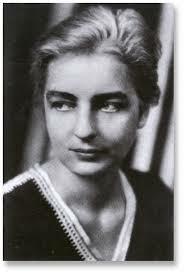 Anthropologist and poet Ruth Benedict was born in 1887. Partially deaf from childhood, Benedict was fascinated with observing the world around her and devoted her life to cultural studies. Known for her humanist perspective, Benedict gained prominence as a respected female researcher in a field dominated by men. Her book “Patterns of Culture” helped shape modern social research methodology. Between communication obstacles and societal oppression, deaf women had to really break through the barriers to receive the education they deserved. It was the impressive intelligence of young Alice Cogswell which inspired Thomas Hopkins Gallaudet to create the world’s first University for the Deaf in 1817. Through the 19th century, deaf-blind women such as Julia Brace, Laura Bridgman, and Helen Keller went on to further prove that physical disabilities did not limit ones ability or desire to learn. These pioneers opened the door for women like Marie Jean Philip (1953-1997), who was a Gallaudet graduate, educator, and international advocate for deaf language rights. Philip was one of the first people to research, study, and establish American Sign Language as a recognized language! Since the turn of the 20th century, deaf women have helped create and shape all aspects of pop culture. Regina Hughes worked for the United States Department of Agriculture for 30 years as a scientific illustrator; her illustrations appear in a number of famous publications, and her work can be found in permanent collections at the Smithsonian and the Hunt Institute for Botanical Documentation. Charlotte Lamberton was a deaf professional dancer who used vibrations to keep rhythm, she appeared in Broadway and Hollywood productions throughout the 1930s and 40s. 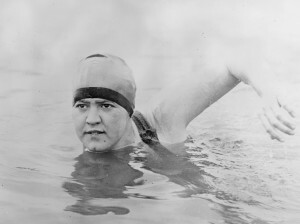 Deaf swimmer Gertrude Ederle became the first woman to swim English Channel. In 1995, Heather Whitestone was the first Deaf person to be crowned Miss America. Deaf women have also changed the face of mainstream entertainment. Linda Bove has been featured in a number of theatre and television productions throughout her successful career, including a role on Happy Days as a deaf girlfriend of the Fonz. 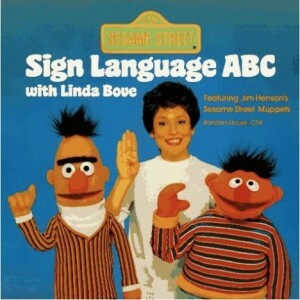 Bove is perhaps best known for her 30 year role as Linda the Librarian on Sesame Street, where she introduced millions of children to deafness and ASL. In 1980, actress Phyllis Frelich inspired Mark Medoff to write “Children of a Lesser God,” a play which centered around a romantic relationship between a deaf woman and hearing man. The production was critically acclaimed, winning a Tony award for Best Play, and Frelich won a Tony for Best Actress. In 1986, Children of a Lesser God was made into a film, a breakout performance for 21 year old Marlee Matlin that won her an Academy Award for Best Actress in a Leading Role. Matlin is a deaf advocate, serves as the American Civil Liberties Union celebrity ambassador for disability rights, and her impressive acting resume includes parts on major television programs such as The West Wing, Seinfeld, ER, Desperate Housewives, the list goes on. Smashing through stereotypes, these deaf women served as role models and helped create opportunities in Hollywood for a new generation of talented deaf actors, performers, and filmmakers. 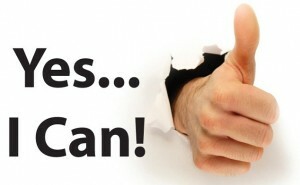 Modern deaf women are continuously breaking through barriers to create lasting change. 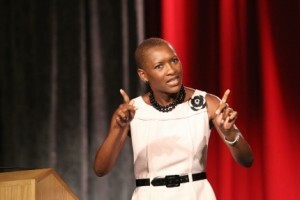 Claudia Gordon was born in Jamaica, became deaf at age 8, and moved to America when she was 11 to receive an education. Gordon worked tirelessly to become the first deaf African American female attorney in the United States. She held an advisory position in the White House Office of Public Engagement, and currently serves at the U.S. Department of Labor Office of Federal Contract Compliance Programs, a regulatory agency which protects workers and promotes diversity. Each day, deaf women around the world are fearlessly pursing their dreams, breaking records, and proving that deafness is only one aspect of who they are. New generations of empowered deaf women are using the Internet to make their voices heard. Author/entrepreneur Sheena McFeely, featured on this year’s DWU list, successfully funded her upcoming children’s book “Shay and Ivy: More Than Just a Princess” through Kickstarter. This book celebrates the very opportunities deaf women through history struggled to create, and encourages little deaf girls to aspire to greatness. 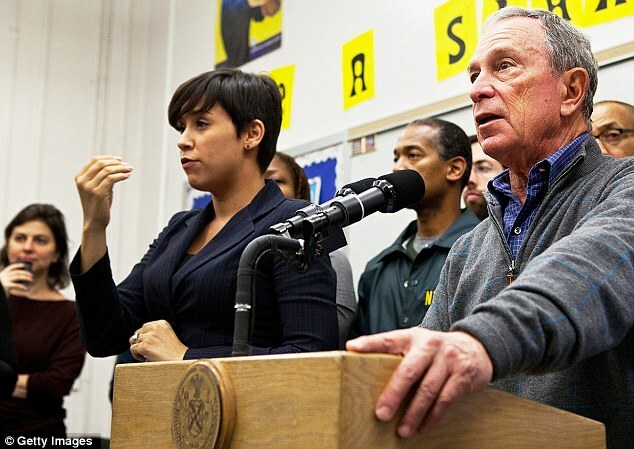 “By bringing these fantastic women into the spotlight, we hope that brings the nation more awareness of how many qualified Deaf Women there are in our country that should be offered the same opportunities as any other person,” said Ocuto.